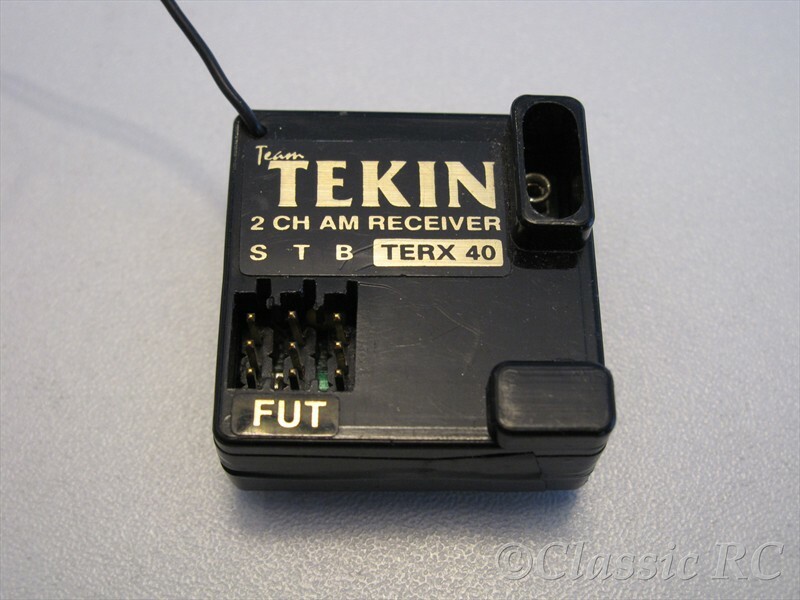 The TERX is an AM receiver, the first receiver released by Tekin. Prototypes were seen at the Offroad worlds 1987 at Romsey/Great Britain. These receivers were sold with red and black coloured cases.